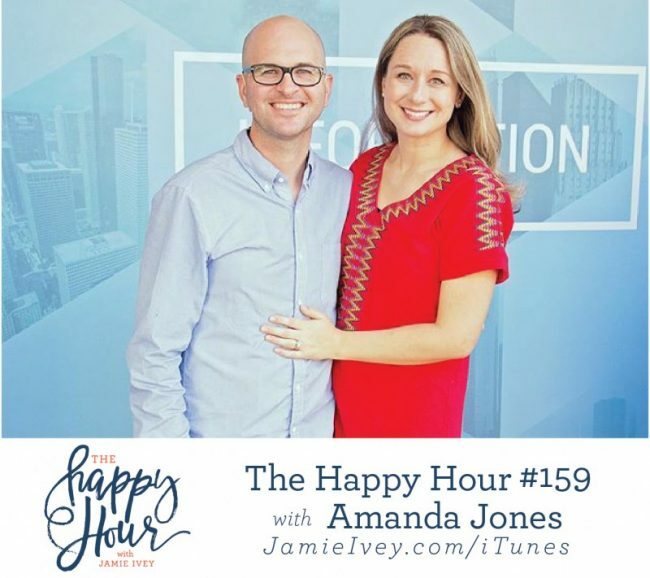 Amanda Jones joins me for The Happy Hour #159. Amanda is a Jesus-loving gal from Texas, married to a preacher boy from Missouri. She's the daughter of Beth Moore, and mom to four kids. Amanda first joined me for episode #66. If you missed that, you can catch up here. She's back today to catch up and talk about Hurricane Harvey and the devastation it caused in Houston. Amanda and her husband help to lead Bayou City Fellowship, a church that has been hugely instrumental in the disaster relief in the areas affected. She shares the most pressing needs they have and how you can be a part. Amanda also shares briefly about her struggle with depression - shedding light on a topic that can be so taboo, especially in the church. My hope for today's show is that you feel encouraged to do what you can, wherever you are, to serve the people devastated by Hurricane Harvey. Whether that means getting on a plane to serve on a demolition crew or by sending money and supplies, please consider how you can help today.